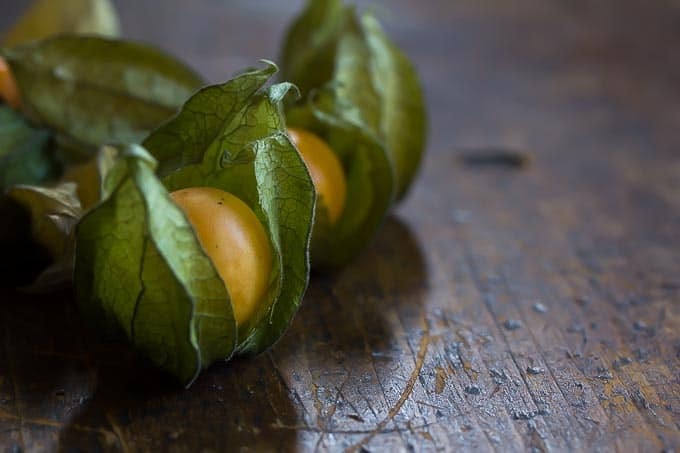 Cape Gooseberries are a unique little fruit that is common to South America, and tastes like a mildly sweet earthy tomato. 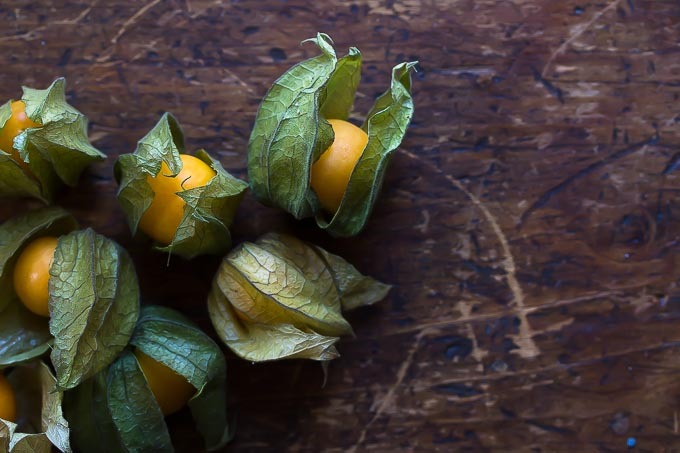 The look like little tomatillos with their paper wrappers! 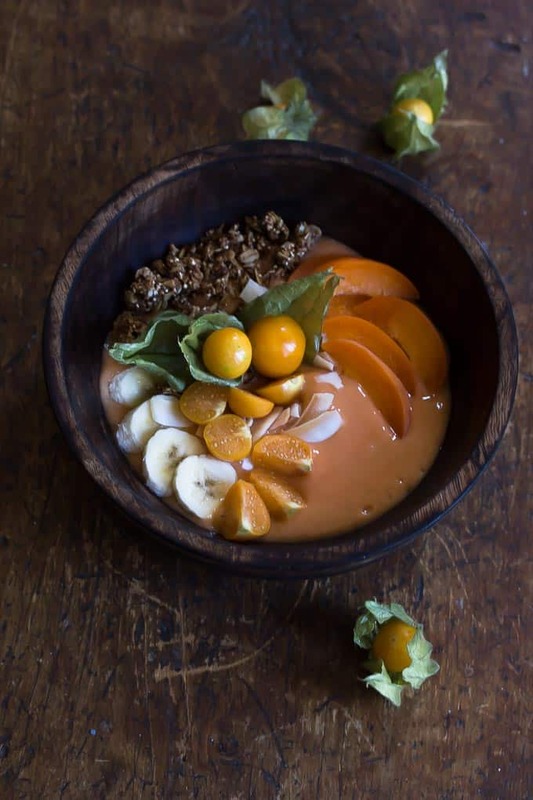 Their earthy flavor pairs well with stone fruit and melon, and is a great addition to a healthy smoothie bowl. Top with more sliced fruit, granola and coconut and you’re ready to go! 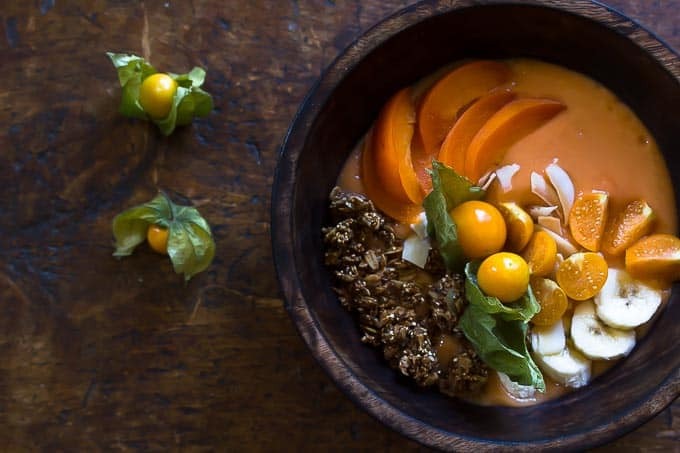 Fresh summer stone fruit and cape gooseberries make a tart and refreshing summer smoothie bowl! Garnish the bowl on top of the smoothie with granola, sliced fruit and coconut chips and shredded coconut.